Located near the intersection of E 6th St and Pennsylvania Ave, Extra Space Storage serves residents of Beaumont, Highland Springs, Cherry Valley, and Banning. Locals will recognize our facility a few minutes southwest of Sundance Elementary School near Curry's Mobile Home Park and Mountain View Motel. 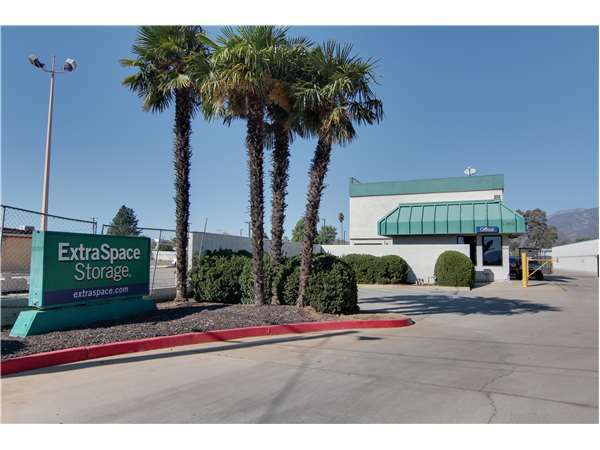 Extra Space Storage on E 6th St offers a wide range of storage unit sizes, vehicle storage, and exceptional security. We're your go-to storage solution in Beaumont! Our Beaumont storage facility can handle practically any storage need you have! We have unit sizes from 5x5 to 20x40 with features like indoor access, first-floor access, and drive-up access. Extra Space Storage cares about providing a secure environment. That's why we utilize security measures like an electronic gate access, an on-site manager, and 24-hour video surveillance. Need to store a car, motorcycle, boat, or RV in Beaumont? Extra Space Storage offers 10x10 to 20x40 enclosed drive-up units and 8x14 to 8x20 outdoor parking spaces to handle a variety of vehicle sizes! Extra Space Storage is the storage partner you can trust! We maintain a clean, secure facility at all times, and our friendly, professional staff will go the extra mile to ensure your experience with us is a positive one. Contact us today to reserve a storage unit in Beaumont! Super professional staff!! The storage space was perfect and easy to access with wide driveways between. Thanks so much! This storage facility is clean and well maintained. And the paperwork process was really fast and easy. love everything about this place! Thanks to ExtraSpace the overwhelming process of relocating to the other side of the country is now a stress-free process. And the customer service? Amazing!!!! nice, clean, & friendly. Pricing could be better. I have been a customer since March 2016 and have, for the most part, been very satisfied. Amazing professional and friendly staff!!! Unfortunately some of my property was recently damaged by rodents. And although my insurance will cover the damage, the items damaged were an inheritance and could NEVER be replaced. The manager, Angela, took time in helping me find the right space for my truck. She was kind, thorough and speedy in processing my rental. She also took the time to follow up with me. The lady who helped me was extremely nice and made everything really easy it was like we've been friends forever the storage unit was extremely clean and just the size that we needed. I would definitely recommend this place for my friends and family. The best rates around and Customer service (Jason) was great. Highly recommend. Clean, safe property, hrenat, attentive staff, what more could you ask for! I didn't feel like I was just storing goods, I felt like I was important to your business. I especially liked it when the manager of the local units called and introduced himself. I have never had that experience with storage in the past. After shopping around for storage facilities I found Extra Space Storage to provide me with the best response time, a fair quote and a knowledgeable staff. It's really affordable and has a great location. The online support is great! It was simple and easy to get everything done when we needed it to be. It's clean and secure! The hours are also a plus!! If you looking for a storage try extra space storage they're reasonable and helpful secure and clean. I loved the ease and convenience of acquiring my unit. The staff was very friendly and helpful. They even awarded me a discount for referring a friend. Thanks so much for your help! As mentioned before, Jason, Manager is very professional and does all he can do to make my move in pleasant. awesome customer service, clean facility, very good rates , ideal location. The manager was very helpful in meeting are needs and went over and beyond with information on storage rental that the online or the 800 number doesnt tell you. Extra Space storage is the place for all. Employees are well trained and see to your needs as to what size storage unit is best for you. You will be highly satisfied. The lights haven't worked since we started renting there about eight months ago. They keep saying they are gonna fix them, still havent. Don't heatitate keep in contact with your manager. The better communication you have with management the better they can help you. I needed something a little less expensive than Palm Desert. I saved half the cost by choosing Beaumont. Its cooler in the summer if I don't get back to move my stuff and it is in a great location convenient to the freeway. positive experience, affordable price, convenient location, recommend the facility. The managers were EXTRA nice, the Storage unit was EXTRA tall, the hallways are EXTRA wide the free month was EXTRA generious. All n All an EXTRA exoerience. THIS FACILITY HAS GREAT CUSTOMER SERVICE. CLEAN STORAGE UNITS AND GREAT PRICES. I WOULD RECOMMEND THIS PLACE TO ALL MY FAMILY AND FRIENDS!! The staff here makes things so easy, time after time. I'll never go to another storage ! Great customer service and a great price compared to the competition. Customer service at this facility is great. Very helpful, informative and friendly. My wife and I looked at most storage facilities in Beaumont as well Banning. From the first phone call to the facility manager we were impressed with how professional the staff was. We set the appointment to review the facilities they took the time to show us around. They went out of the way to make sure we were happy with the unit we selected. We highly recommend ExtraSpace Storage to all our friends in need of a little extra space to store things. looking for a storage location that would work for my needs i deceided to return to a-american storage which to my surprise is now extra space. And all i can say is im more impressed with extra space then a-american. the facility is clean and maintained well, the manager has been helpful above and beyond the normal customer service. i have recommended this location when it was a-american and i would definitly recommend extraspace. the hours are great and the prices are reasonable, the isles are a bit dirty but if your a local to beaumont youll understand the wind, but inside the units are very clean....im extremly happy with this facility and would be back in the future if needed!!!!! everyone who works here is extremely nice, the storage facility is always clean and maintained, i would recommend this place to anyone. Renting with ExtraSpace was a great experience. They offer great savings & simplify the process with having on-line reservations. We had shopped and they were defininately the easiest and the best price. I would highly recommend them. I can honestly say this storage place is the best! I have had storages before but this one by far has been the best! I travel so I have to call in my payments. I could do it on line but they are always so kind when I call. Thank you to a great staff! the staff is always friendly, polite. easy access, great security features. the place is always kept clean. The facility has very easy access. Its kept clean by the staff. A great location for me. I like the service was great and loved our site.I really like the guy at the desk Brandon, he was very polite and made me feel like i belonged here. 6th St between Highland Springs Rd and Pennsylvania Ave.
Head south on Beaumont Ave. and then turn left onto 6th St. (At that intersection, there will be a YumYum Donut shop on your right and a gas station in front of you on the left). Extra Space Storage will be 1 mile down on the North (left) side of the street. You will have to drive down to American Ave. and complete a U-Turn to get over to us.We are located across the street from the Tractor Trailer Factory Outlet and Guardian Self Storage. Head north on CA-79, which will turn into Beaumont Ave. when you reach Beaumont city limits. Turn right onto 6th St. (a gas station will be on your right side). Extra Space Storage will be 1 mile down on the North (left) side of the street. You will have to drive down to American Ave. and complete a U-Turn to get over to us.We are located across the street from the Tractor Trailer Factory Outlet and Guardian Self Storage. Head west on the 10 Freeway and take exit 96 for Highland Springs Ave. Turn right onto Highland Springs. Next, turn left onto Ramsey St (Burger King on your left, Jack In The Box on your right, Walgreens and AM/PM gas station in front of you on opposite side of the street). Ramsey St will immediately become 6th St. Extra Space Storage will be 1 mile down on the North (right) side of the street. 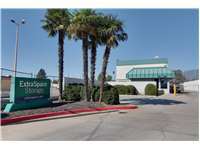 We are located across the street from the Tractor Trailer Factory Outlet and Guardian Self Storage. Head East on the 10 Freeway to exit 96 for Highland Springs Rd. Turn left at the bottom of the off ramp. Continue to the second stop light which is Ramsey St and turn left. There will be a Burger King on your right, and an AM/PM across the street. Ramsey becomes 6th St right after you turn. Continue down about 1 mile and we will be on the right side across the street from Tractor Trailer Factory.